About David | Ironman for Life! David is also a founder and sponsor of Safe Sober Prom Night, Inc., a non-profit corp. The program encourages positive peer pressure for teenagers to “Do It Right!”, and reinforce awareness of the dangers of drugs and alcohol – www.SafeSober.com. Over the past 27 years the program has reached more than 500,000 high school students, and reaches thousands of young people each year. Over the past 27 years more than 500,000 students have taken the “Do It Right!” pledge to stay Safe and Sober. The Program is premised on two basic ideals: 1) create an environment and encouragement of positive peer pressure, 2) continual reminders of the dangers of drug and alcohol. Over the years, growth of the program has been enhanced by partnerships with the State High School Athletic Associations as well as supportive corporate partners. Over the 27 years of the Safe Sober program, Daggett has continued to compete in Triathlons. 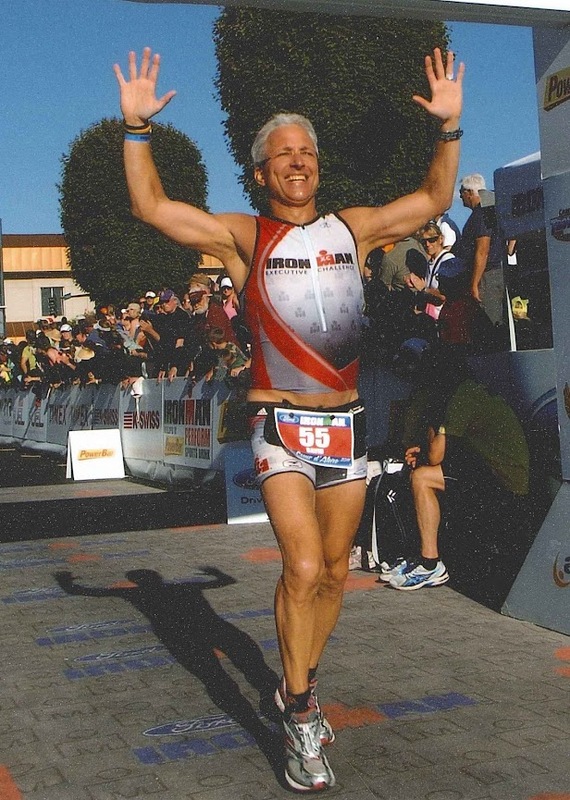 David is a competitive triathlete having finished over 185 triathlons in the past 35 years, and has had an age group win or overall place finish in every age group from 18 – 24 through 55 – 59, including numerous masters wins. He has also completed 27 Ironman™ races, so far, including IM Lake Placid four times, IM Canada four times, IM Germany four times, Ironman Coeur d’Alene three times; and the Ironman™ World Championship in Hawaii in ’90, ’91, ’92, ’06, ’07, ’11, ’13 and ’16. He has an Ironman™ PR of 10:31 from IM Europe in 1997. He is an enthusiastic lover and supporter of young people, including his wife and three children. At Church he ushers, teaches Sunday school, presents frequent children’s sermons, and has severed in various (most) leadership roles. Great article in the WS Family magazine! Proud to know you and call you a friend! See you in the morning. My girlfriend is training/preparing for an Ironman competion. She is in the very early stages and I want to do anything I can to support her during both training and during the competition. Please point me to information explaining the type of support required to participate in this type of event. What plan and technology is helpful in giving her the best possible chance of completing this admirable event? Thank you so much for your valuable time. David, great to meet you at race Sunday morning as we “rang the bells” at the start of the Angels Race. I had a great time and enjoyed the whole experience as I was racing for my brother-in-law who died day before at age 50 of heart attack. I helped Geb Broman set up the bike racks on first two years as he borrow mine. But, once the race got bigger, I ran out of racks. I saw your resume and very impressed with your passion of doing triathlons for all these decades and using it in your talks. I agree that it is a “life style” and I’ve been doing them since 1979. I’ve only finished two Ironmans, which was the one in Kona in 2004 with my wife, Debbie. We finished in 16:24 and I was happy. Debbie finished it in 1982 as well. I did Louisville Ironman last year in 13:30 at age 63 and again very pleased the body is letting me compete in these events. We had 25 from Lynchburg, Va. compete in Louisville. Only two went this year! Anyway, I was going to say “hi” but you were busy with the mic as the runners were finishing. Keep up the good work and hope our paths cross again. Semper Fi. I just saw a comment you made on Slowtwitch (re: XC program) and popped over to your blog. Well done, sir, well done. Your work is inspirational and I wish there were more people like you in this country.